Rohini Narayanan in Student Life on 21 February, 2019. The big day has finally arrived. We finally know the people who are going to be the face of Durham Students’ Union for the year 2019-2020. The importance of these elections cannot be overstated. The candidates are facing off for the most powerful roles in Durham University and it’s elementary that the students vote carefully as these representatives will decide their University experience. The Bubble brings to you the verdict of the elections! Dunning wants to work towards meeting the needs and wants of students. She has prior experience in a wide variety of areas in the Students Union. Evans, who is the current Postgraduate Academic Officer, has previously served as Josephine Butler’s MCR President and NUS’ National Research Postgraduate Rep. His priorities are to fight unfair academic costs like printing and library loans, better integration of postgraduates within departments and colleges and creating resources to help Course Reps tackle department specific issues. McIntosh is a current SU trustee. Her aim is to make meaningful changes in students’ lives and create a more diverse and inclusive feature in Durham. Student Trustees Candidates: Amie Key, Tom Pymer, Carlamarita Hazelgrove, Poppy Azmi, Jess Madden, Spencer Payne, Jack Pearce, Kiyara Sen.
All the candidates had unique ideas regarding the improvement of the SU right from environmental causes and mental health to the social mobility and integration of students, and the very important and relevant protest against the continuous rise in college fees. Johnson, who is the LGBT+ Association President and a Course Rep, aims to put students at the heart of academia and make sure that students have a say in their education. 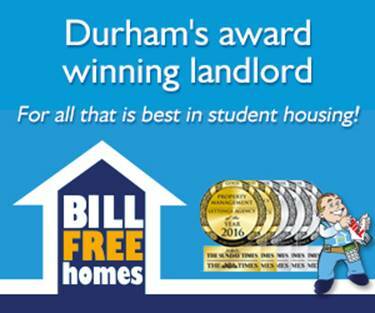 McLoughlan, who is the Students with Disabilities Association President and NUS Disabled Students Activist of the Year 2018, aims for a more inclusive Durham along with an integrated postgraduate support with stronger MCRs. We congratulate all the winners and hope for a better and stronger SU in the coming years.